TOUGH GEHRIG!!! An Extremely hard-to-find LOU GEHRIG CARD! PSA has only graded 209 Delong Gehrig's in total as of today. Out of that, only 13% of the Iron Horses have attained a higher grade! This "#7" card of one of baseball's most enduring legends is a stellar card among this set break! This is a gorgeous card of Lou Gehrig in his playing prime! OUTSTANDING COLORS! OUTSTANDING B&W GEHRIG Photo image overlaid on the bright color design background. 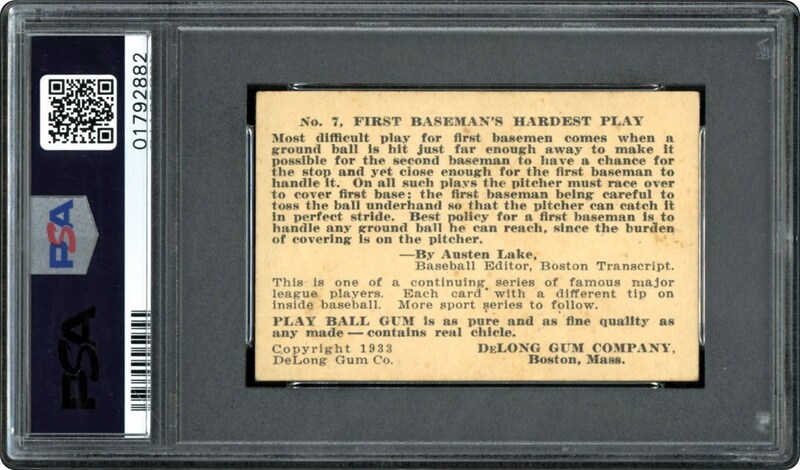 The key set card from the pioneering Delong company which is one of the first to sell gum with cards in 1933 along with Goudey. 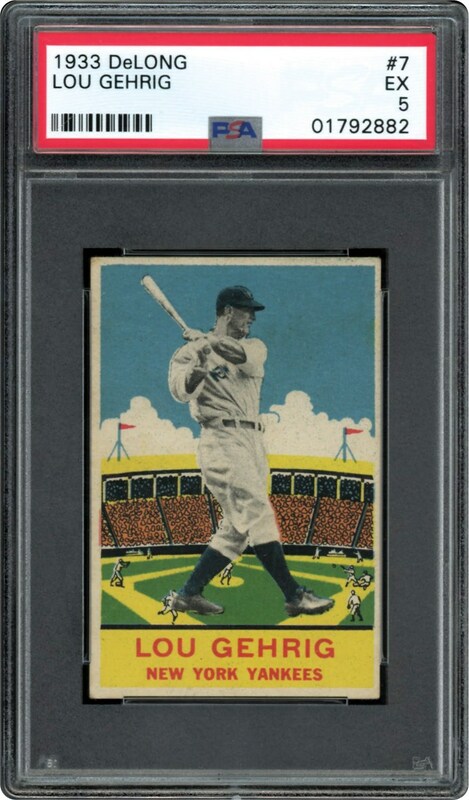 Any high end collector would be proud to show off this 86 year old card of "The Iron Horse", Lou Gehrig!! !